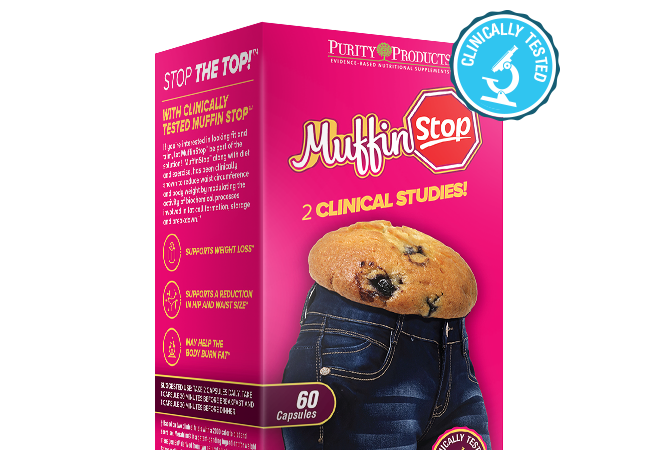 Each of the two MuffinStop® clinical trials met the Gold Standard for research on human subjects by using the "double-blind, placebo-control" procedure. 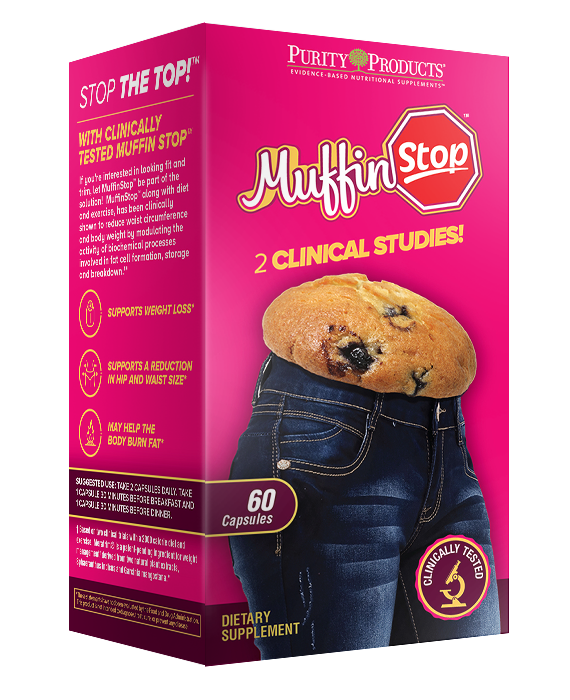 The results are convincing: MuffinStop® reduces body weight and waist and hip size significantly better than diet and exercise alone. Statistically-significant reductions in body weight were achieved after just two weeks. 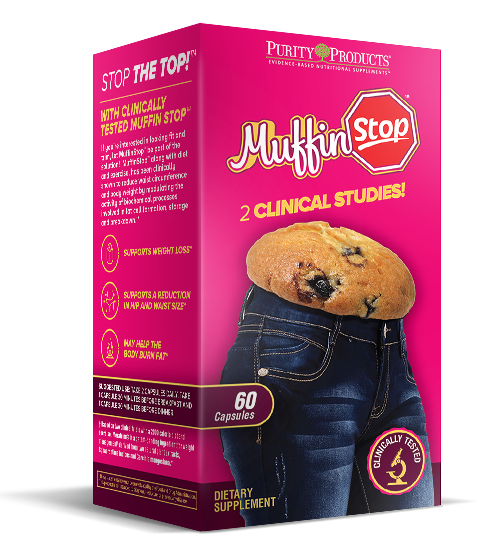 At eight weeks, subjects taking MuffinStop® lost an average of 12 pounds in the first trial and 11 pounds in the second. Waist sizes was trimmed by over four inches in study one and study two replicated these results. Similarly, hip size was reduced by over two inches in both studies. Published double-blind, placebo-controlled research has demonstrated that the proprietary blend that comprises MuffinStop significantly reduced body weight and waist and hip size better than diet and exercise alone. The research suggests you can enjoy weight loss and reduced waist size in as little as two weeks! Hip size reductions were statistically significant at eight weeks. Are you ready to try one of the most innovative weight loss products the supplement industry has to offer? If so, then you're going to love the power of MuffinStop®. Get started today and Stop the Top. 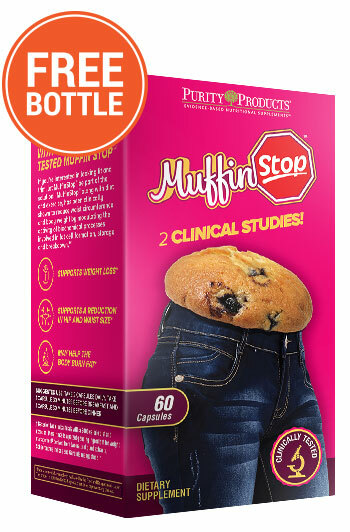 Try a FREE† Bottle of MuffinStop® today. Click below to get started. Pay just $4.95 for shipping and get your FREE† Bottle. GET YOUR FREE† BOTTLE TODAY!